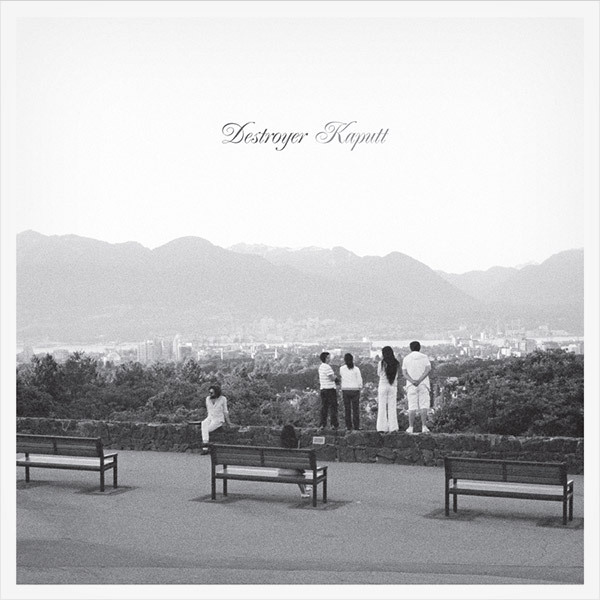 medium rotation ⟳: Destroyer: "Kaputt"
The last full-length by Dan Bejar’s Destroyer, 2008’s pretty-good Trouble In Dreams, was the first Destroyer record which wasn’t a departure from the one that preceded it; it felt like an album of outtakes from 2006’s masterful Rubies. Bejar’s stylistic zigzagging has gone from bedroom 4-trackism to literary glam to mini-MIDI symphonies to sprawling indie rock, and so it may not be a surprise to learn that the new Destroyer is basically, well, disco. As an artist who likes to leave a breadcrumb trail through his oeuvre, Bejar dropped a few hints that this new record wouldn’t be Rubies, Pt. III. Those who bought Rubies on vinyl were treated, on side 4, to a 24-minute ambient deconstruction/remix of Rubies themes entitled “Loscil’s Rubies”, perpetrated by Bejar’s friend Scott Morgan, who records as Loscil. Then in 2009, Destroyer released the vinyl-only Bay of Pigs EP, which featured the utterly bizarre and wonderful 14-minute title track, which is more or less ambient techno over spoken word poetry (note: "Bays of Pigs" is included, in slightly edited form, on Kaputt); on the B-side was “Ravers”, a slow ambient version of “Rivers” from Trouble In Dreams. Fans used to Bejar’s militant stylistic iconoclasm didn’t bat an eye at such an experiment, but worries about when and if a new Destroyer LP would ever surface were not quite allayed by 2010’s Archer On The Beach EP, another vinyl-only slab with two very dark and bleak tracks that seemed to be a kiss-off to music and art altogether. So when a new full-length was announced, shortly after Archer On The Beach, fans were relieved, even though the press release contained more ominous notices (“The hopelessness of the future of music… The pointlessness of writing songs for today…” See here). New Destroyer music is always cause for rejoicing here at Medium Rotation; that Bejar has not only made a new record, but an excellent one, is proof that his experimentalism continues to pay off. I described this record earlier as disco. And yes, there are basslines, and the LinnDrum, and backup singers, and (sometimes) choruses. More importantly, though, this record is warm and inviting, melodic and up, each track hummable if not danceable. In the press release, Bejar cites Bryan Ferry’s 1985 Boys and Girls and Roxy Music’s 1982 Avalon as inspiration, and fans of those great albums will see the musical similarities. He also cites 80s Miles Davis, and while that was not the trumpeter’s best decade, the trumpet on Kaputt is uniformly creative, gilding the album with jazzy filigrees. Kaputt is almost certainly Destroyer’s most accessible album, even though the lyrics are as inscrutable and abstract as ever. Lyrical nonsequiturs and dark poetic musings over a disco beat are not entirely unprecedented—check out Bejar favorite Nite Flights, the influential 1978 LP by The Walker Brothers, or Scott Walker’s 1984 Climate of Hunter, both of which sound like sonic precursors to Kaputt; likewise, Leonard Cohen’s I’m Your Man (1988) and The Future (1992) sound a bit dated today but have similar musical and lyrical themes, such as fighting the darkness with light. Bejar will likely continue his artistic struggle. In interviews (like this one at Paste Magazine), he is honest about the difficulties of his art. But Kaputt is a beautiful and uplifting record, and despite its difficult genesis, despite its ominous title (“kaputt” is German for “ruined, broken, finished”, and, hint-hint, “destroyed”), despite the lyrical puzzles which Destroyer fans will be vainly attempting to unravel and decipher over the next few months, it shows that Bejar knows that creation sometimes involves destruction. 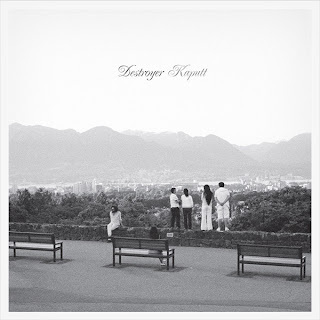 Kaputt is out on January 25th on Merge Records on CD, LP and digital download. Update: The vinyl version comes with an extra track, a 20-minute ambient excursion called "The Laziest River" which takes Eno and "The Boys Of Summer" gently downstream. If you liked the last two EPs, this will definitely float your boat.